There are few better ways to celebrate the summer than putting on a great cookout. 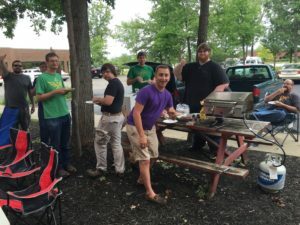 We’ve seen the talent our team has on the computer, and now we’ve tested their skill on the grill! We’re proud to say it was a massive success, resulting in some killer burgers and delicious desserts. We hope everyone is getting out and enjoying the summer weather!